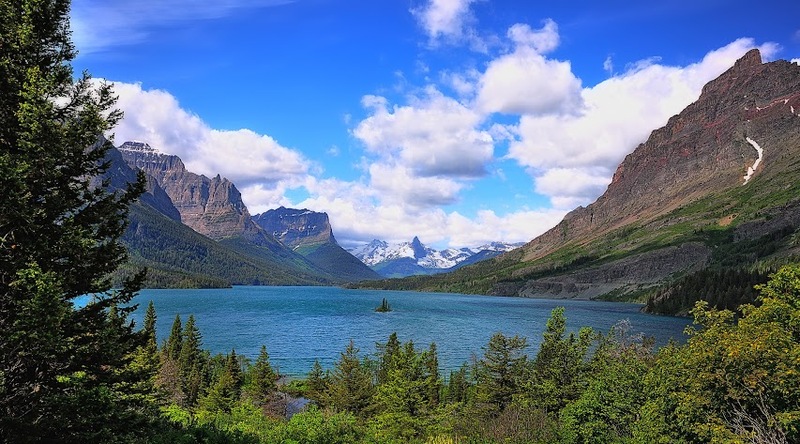 These are the jagged, snow-laden peaks and pristine blue waters of Northwest Montana’s Glacier National Park. Covering more than 1 million acres of the Continental Divide and containing two ranges of the Rocky Mountains, this peerless reserve is a gem of the American wilderness. However, more than anything else, its 37 eponymous blocks of ice define the park. And while that may seem like a large number, a shocking statistic tells another story: since such things were first measured, almost 75% of the park’s glacial ice has melted, running down its slopes into the lakes and rivers of this beautiful land. Scientists predict that, if this rate of decay continues, all of the park’s glaciers will be gone by 2030, leaving behind a landscape that, while still beautiful, will hold nothing of the majestic vibrance of Glacier of old. Now, two questions probably come to mind at this point: What is the cause of this, and why does this matter? The answer to the first is simple: global warming, or as it has come to be expressed in a more politically correct tone, climate change. As much as anyone can try to deny it, the facts are there: the average temperature of the world is increasing, and ice is melting all across the world. The evidence is overwhelming. To put things into perspective, if the entire 4.5 billion year history of the earth were compressed into a 365 day calendar, we managed to sap most of its natural resources and pump huge amounts of toxic gas into the air, basically bringing about the destruction of the planet in the last 2.5 seconds (although my math might be off here). That is wholly ridiculous, and something obviously needs to be done about it, but that’s a story beyond the scope of any other article that could possibly be written, especially for a high school’s student publication. But why does it matter, really? I mean, it’s just a bunch of ice, right? No economic value of any kind, no redeeming characteristics. Really, it’s incredibly important. Places like Glacier National Park are the last vestiges of the American frontier, the untapped continent of land that millions of people poured into, looking for prosperity (although to call it completely untapped would be to ignore thousands of native inhabitants, something we Americans tend to do pretty regularly). In the wilderness, we can see a little of what our country was like before ore and oil were torn from the depths and its surface was plowed over by farmers and city-builders. In these wild places, the spirit of what the world once was lingers on, passing its way down through the generations, and when we lose them, we will lose something intrinsic about ourselves. The problem is not limited to Montana or even melting ice. Shown above is Yosemite Falls, the largest waterfall in North America, this past January. 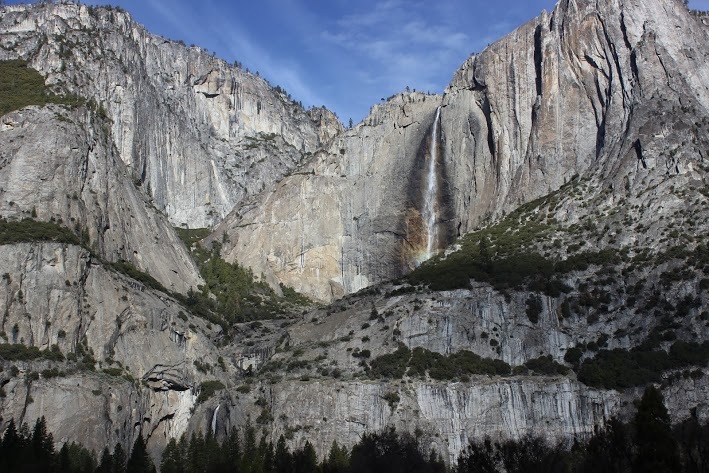 In a way, its cascades are a symbol for the water of millions of Californians, as they are shown here streaming down at a fraction of their possible power. The waters of the falls, like much of the state, are fueled by melting snowpack, running down the slopes of the Sierra Nevada and irrigating the Central Valley, one of the most important farming lands in the country. However, right now, California is in a severe drought — it has received next to no precipitation and is now instituting water-saving measures. When the falls finally decline to a halt, perhaps so will the viability of California’s farmland, a frightening idea for everyone. In Yosemite and Glacier lie two of America’s greatest national treasures, and we do nothing as they grind to slow, painful deaths, the rest of the beauty in the world going with them.